Honda’s first production V4, tested by MCN 30 years ago this week, was the start of a dynasty Honda was determined would define it, if it didn’t destroy it first. 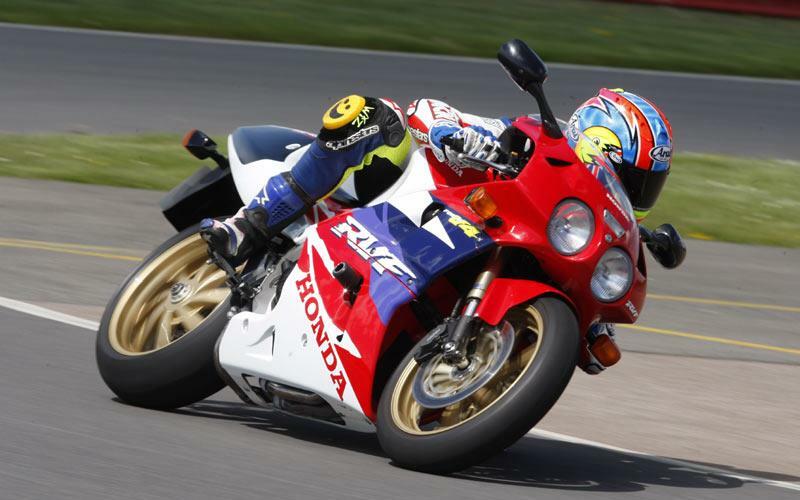 It scaled no greater heights than the VFR750R RC30, NR750 RC40 and RVF750 RC45. 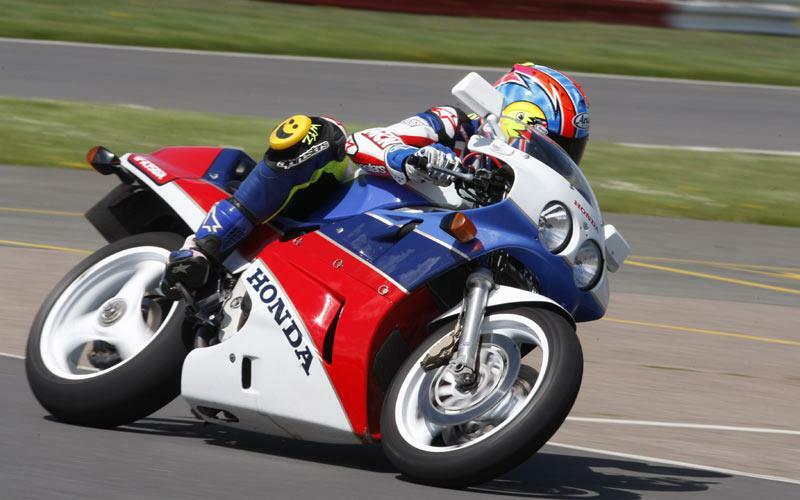 It’s hard to believe the RC30 is 24 years old because even by today’s standards it’s a wondrous machine. 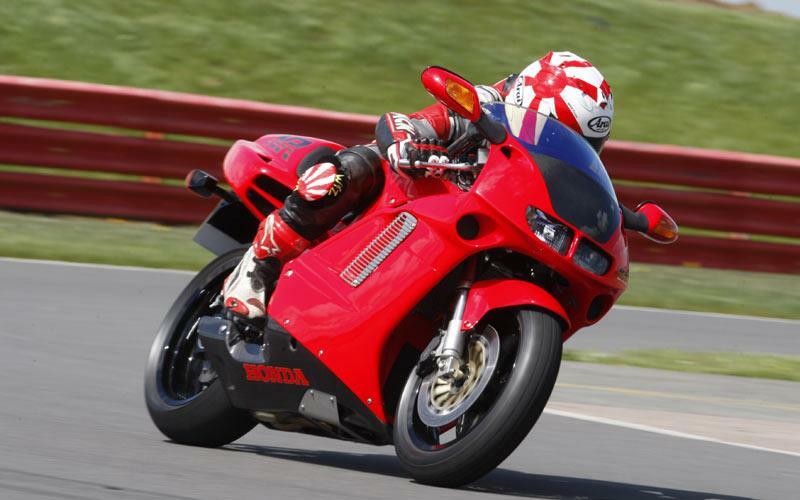 Flattering its rider like few other motorcycles, the key to its devastating speed on the road or around a racetrack is just how easy Honda made it to ride. Just like today’s superbikes the chassis is built using different thicknesses of aluminium so it could be strong in key areas and light in others – it was way ahead of its time. The 748cc engine with gear driven cams has smooth power all the way through the revs and every possible hole, dip and glitch in the power curve has been smoothed out with Honda Racing Corporation’s magic wand. The NR750 is long, low and comfortable, surreally smooth and doesn’t feel 20 years old. The controls move as smoothly as if they’ve just been dipped in baby oil, the ride quality is plush and the brakes have a deliciously tactile feel. The vibe-free oval piston engine has power all the way from zero on the white-faced, NR logo’d analogue dash to around 12,000rpm. Not wanting to peel the top off those spam tins I didn’t risk taking it all the way to the 15,000rpm redline, but I’m sure it could’ve handled it – it’s an old school Honda with bomb-proof build quality, after all. It would be easy for me to stick my rose-tinted specs on and say how much better the RC45 is over the RC30 – and as a machine it is. The first time you go through a corner and hammer down a straight you can feel the four years of development from when the RC45 project began in 1989 (a year after the RC30 came out) to 1993 when it was ridden for the first time by MCN at its launch at Suzuka in December. It went on sale in 1994. It’s more urgent on the throttle, the brakes are stronger and you find yourself going instantly faster through the corners. It looks stunning, the build quality would put a Rolex to shame and it’s roomier. Out is the old racy, super-tall RC30 first gear and in is a more clutch-friendly road cog. But despite all this there’s something missing and it’s hard to put a finger on what it is. Read the full test, along with the history of the Honda V4 in this week's Honda V4 celebration issue of MCN.